It’s French for, as best I know, “little rascal” or “little trickster”. It is the name given to a colt born 29 years ago at a farm in Germany, who grew to be a talented dressage horse, coming to the United States in the prime of his performance years and who then became mine when he was 12. With this, you see that I have not known Filou his whole life, but I have known Filou for the longest share of his life and I want to believe this gives me some intimate knowledge about his character and his needs. That is the thing about being a creature’s caretaker: You cannot know (as in, I KNOW this to be true). 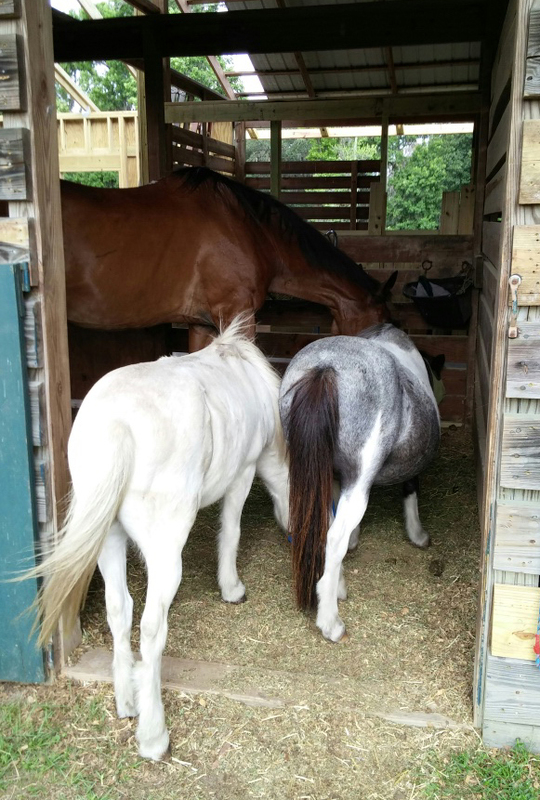 Whatever universal truth there might be (horses seek safety and comfort, for example) is open to infinite interpretation for any given one, any given circumstance, any given moment. It’s a constant dance of interpretation, of action and interaction. I don’t always start the dialogue, but I am constantly inquiring: Do you need something? Does this help? Is this want you want? Gordy and I just spent 20 minutes discussing the merits of changing Filou’s feeding program. What part is working now? Can we do better? Will he like it? Always guessing. There is no part of me that feels expert about this. There is no part of me that thinks that I have anything to teach anyone about this. But, there is a resounding part of me that understands this to be my calling and my great imperfection at doing it to be a clear and intended part of the deal. All of which I know, because of Filou. He and I have been joined together for over 17 years now, which makes for some deep roots. He has seen my ignorance, my selfish ambitions, my stubbornness, and neediness. He has also seen my grieving, my finding of deep love, my nurturing and my kindness. We are bound in a tapestry of connectedness and my only prayer has ever been to let the better part of that experience be the stronger part. 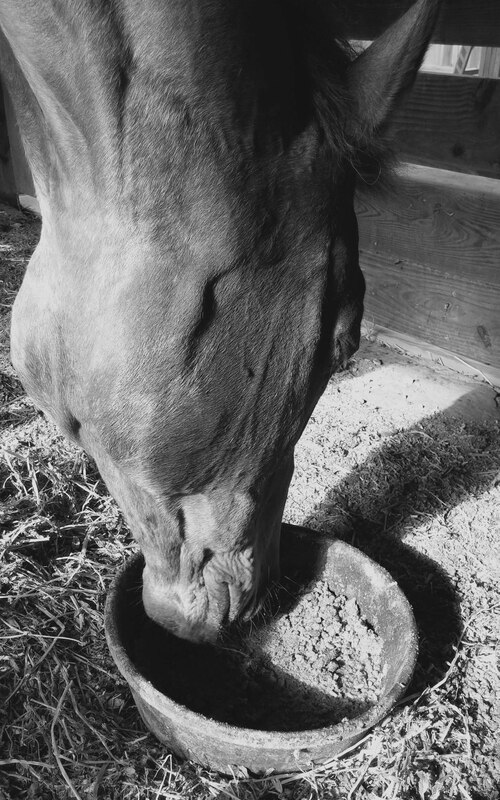 This morning, I sit with Filou in his stall while he eats his meal, as I often do. The sun is shining in and the breeze lifts his mane and I think how beautiful he is, how amazing and magnificent. Filou goes still, then lifts his head from his food dish to rest his muzzle lightly in my hands. His eyes are soft and far away and we breathe into each other. Time stands still and a great sense of peace and belonging washes over me. What a gift and oh, what a reconciliation of whatever angst I contrive from being drawn to do something I can only do imperfectly. It was never about perfection. It’s about intention and effort and love and the sweet, sweet feeling that I am enough. For Filou, I will always be enough. Filou turns to finish his meal, Boo and Belle sidle in looking for remnants and the morning comes back into focus. There are food dishes to gather, fly spray to apply and the dogs are waiting to be fed. So it goes and I go with it. We are going to change Filou’s feeding program. We think this one is good, but we can do better. Soon, the barn will be done, which matters more to Filou than to the others, but they will like it, too. The interpretive dance of how we care for them continues. What great richness.